THE HEAD OF the Irish Farmers’ Association has criticised a move by the government to publish European subsidy payments received by individual farmers. These payments have been put on the Department of Agriculture’s website where details are given of how €1.8 billion in EU funding under the Common Agricultural Policy has been distributed to Irish farmers. The database includes figures from 2013 and 2014 and allows users to search by amount, location, company, municipal district and type of measure. 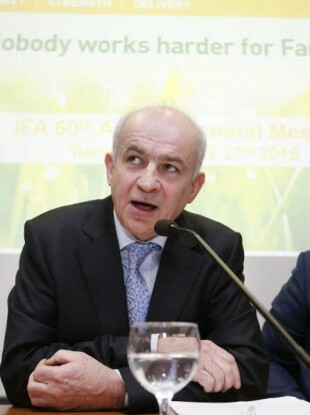 In response to this information becoming available, IFA President, Eddie Downey, has said that farmers are “extremely angry” at the move, and that it is a breach “in respect of their personal financial data”. The IFA chief said that a reasonable compromise would be if anyone seeking to access information should also have to register their name, address and contact details – as well as outlining the purpose of their request to the Department of Agriculture. Details of the money paid out is required to be published under EU law as it is EU taxpayers’ money. What are the payments for? The CAP payments are subsidies to farmers and cover a range of agricultural sectors. The payments given out by the EU to the Republic of Ireland amounted to €11.7 billion between 2007 and 2013. The majority of the money is paid out under the Single Farm Payment. Email “Farmers are not happy about the government publishing their financial information”. Feedback on “Farmers are not happy about the government publishing their financial information”.